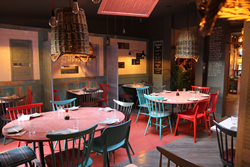 Tootoomoo’s Whetstone restaurant has a brand new fresh and healthy Pan-Asianmenu, launched in time to match our bold new look. 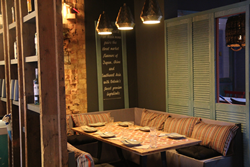 Sharing plates take centre stage as we expand to create more spacious and intimate seating areas. 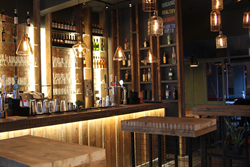 We've also added a striking open and communal bar area, perfect for a drink and some small plates. Get set to dive into menu highlights including crunchy tiger prawns tempura, crispy smoked chicken and umami-rich chicken gyoza which create a tantalising first taste. Sharing dishes of warming beef rendang curry and tongue-tingling Szechuan chilli withtofu deliver delicious Asian flavours with a kick. Fancy taking a real taste journey? Whether popping in for dinner with friends or sipping your way through our inventive cocktail list, listen to the wok fire up explosive flavours and breathe in the scents of the spices at our little slice of Asia. Turn your weekend up a notch with endless flowing booze and a 3 course pan-Asiantasting menu! Fridays, Saturdays and Sundays. Kickstart Saturday or indulge in much-needed Sunday hair-of-the-dog with unlimited prosecco and draught beer or upgrade your brunch for £5 and include cocktails! Still hungry? Why not indulge in an additional dessert course for £5, traditional Japanese ice cream Mochi. T&Cs apply ask for details! Cocktails £4 All Night! Kick start your weekend Thursday nights when all our cocktails are £4 from 5pm to close. Not another Sunday roast! Bring the kids for #SundayFunday. 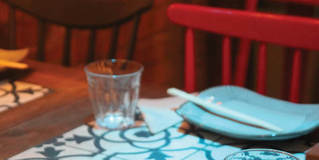 Let us tempt you with our flavours from the far East and 15% off for families of 4 or more every Sunday. First time at Whestone last night loved it great place great food! !